I have just returned from a business trip in Semarang. It was a good trip. I have good friends in Semarang. It was a nice trip. 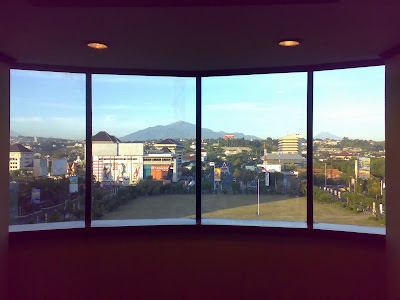 Pic: overlooking Simpang Lima, from the 7th Fl of Ciputra Hotel. This entry was posted in occasion on July 11, 2007 by Eva.